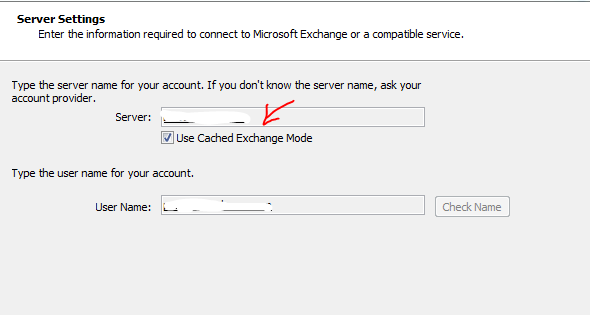 Most of you must have experience in the scenario "Outlook connection lost....", even if you have Exchange Server 2010 (with Edge, 2 clustered H&C and 2 DAG configured MB) and Outlook 2010 in place. The reason is that, when you are doing a maintenance on one of the H&C, and if the client is connected to that H&C, communication to the MB is lost. 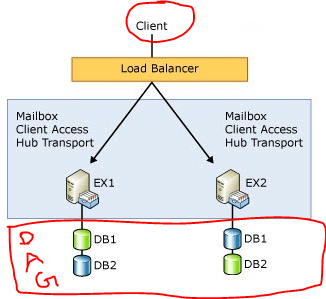 The reason for this is that the cluster load balancing on the H&C cluster handler is not in place, even if the cluster name is published in the DNS server. 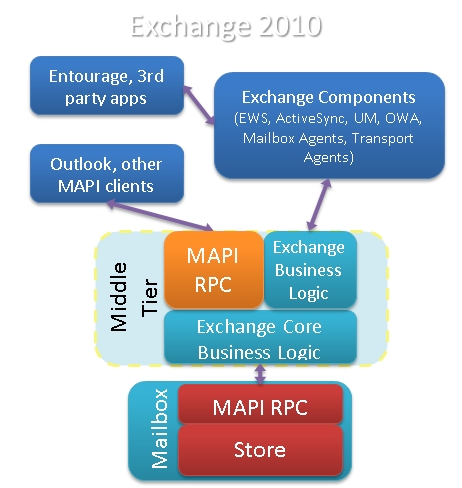 In Exchange 2007, 5 server roles that performed distinct functions within the Exchange organization. One role in particular - the Client Access server role - introduced a variety of new Web services, including the Availability service, the Auto discover service and Calendar Concierge services. All databases are associated with a Client Access server in the environment. 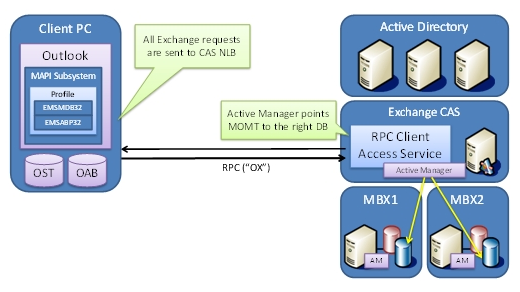 Load balance your CAS servers in a CAS array by whatever method you choose – Both Hardware LB or Windows Network LB are supported load balancers. Configure your load balancing array to load balance the MAPI RPC ports - TCP 135, UDP/TCP 6005-65535; or set static ports. Create a new Client Access Array. Run the Cmdlet in EMS New-ClientAccessArray -Fqdn server.contoso.com -Site "Redmond" -Name "server.contoso.com"
If you already configured Outlook client, Close the outlook, then goto Control Panel->Mail and change the Server name to the new CAS NLB name.